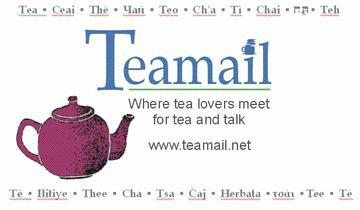 Teamail was created in 1998 to provide a civil and friendly email forum for the discussion of tea (Camellia sinensis) and any and all tea-related topics. Share your own knowledge and thoughts, or learn something new. Experts, newcomers, professionals, and tea lovers at any place in their tea journey are welcome in our global community. JOIN US! If you're a tea lover, you should be a Teamailer. the sun stood low on the sky. and drank it to warm my frozen toes. and soon the night fell. and the darkness of the night is banned.